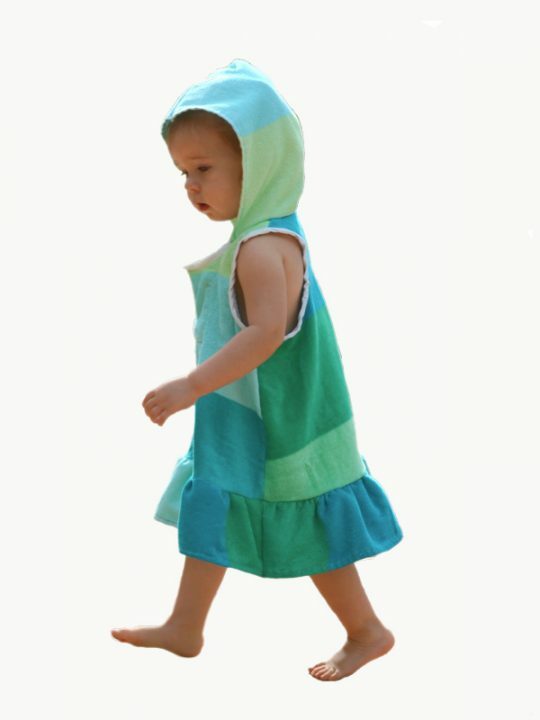 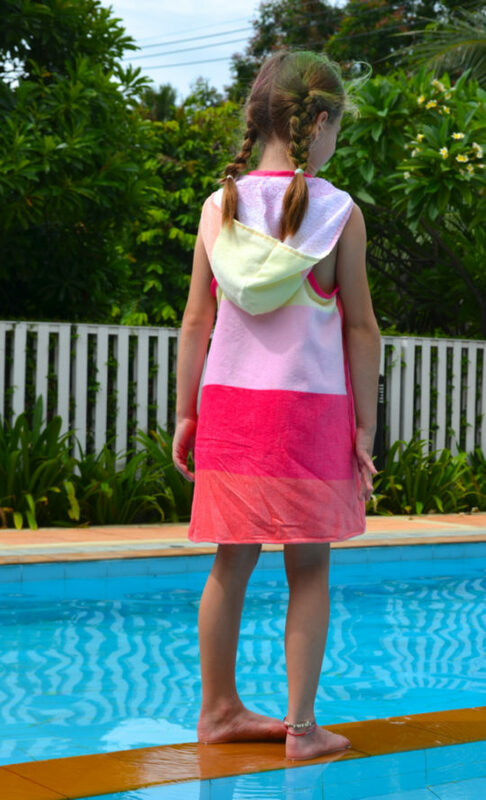 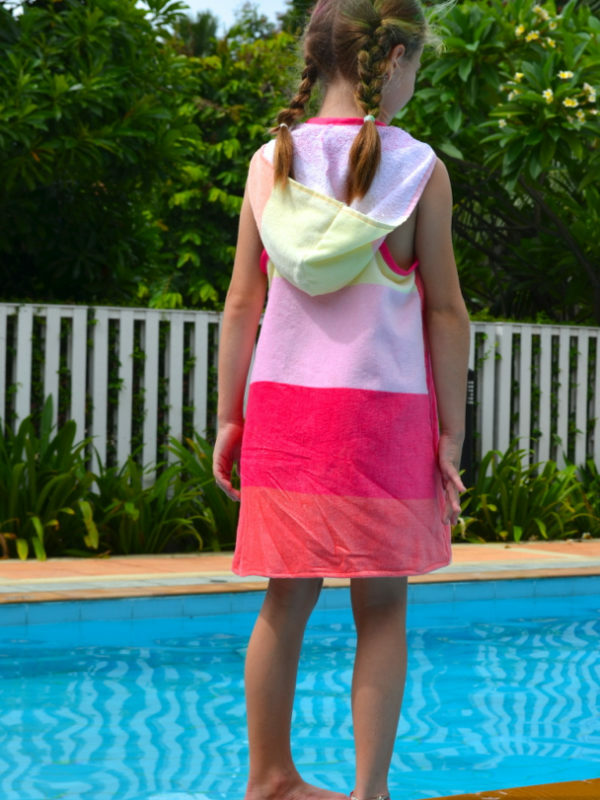 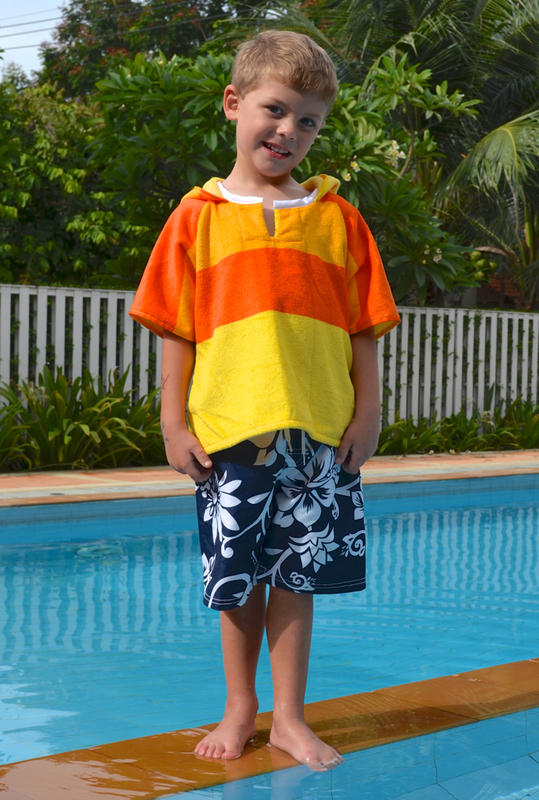 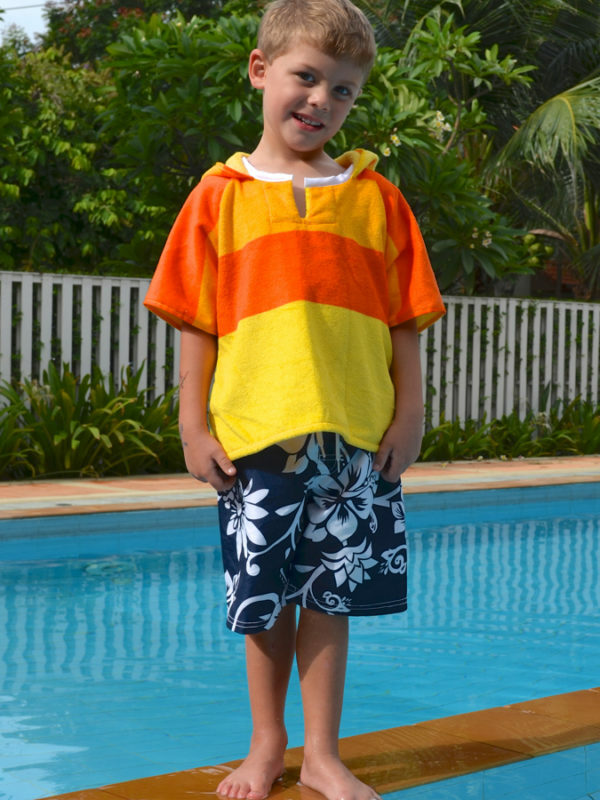 The Aegean Swim Cover is a beginner-friendly hooded cover-up made from towels, perfect for throwing on after a swim. 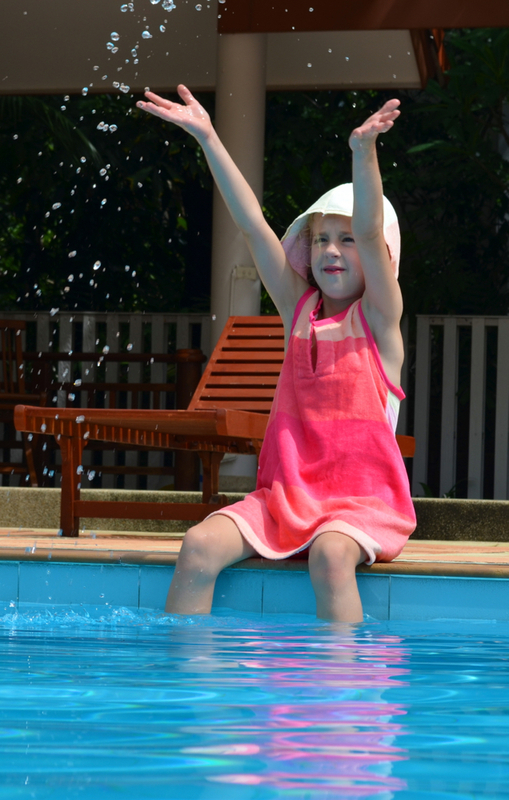 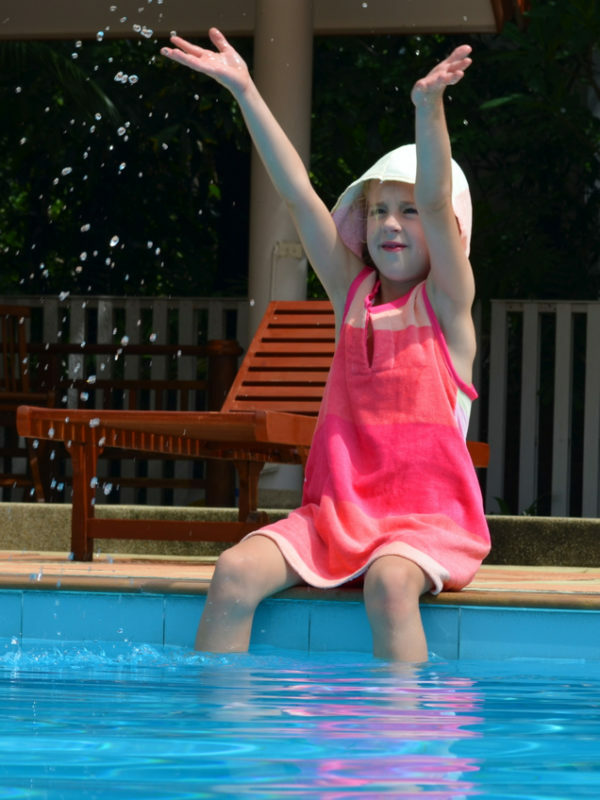 Don’t worry about lugging bulky towels to the pool anymore – just throw these on the kids and they’re good to go! 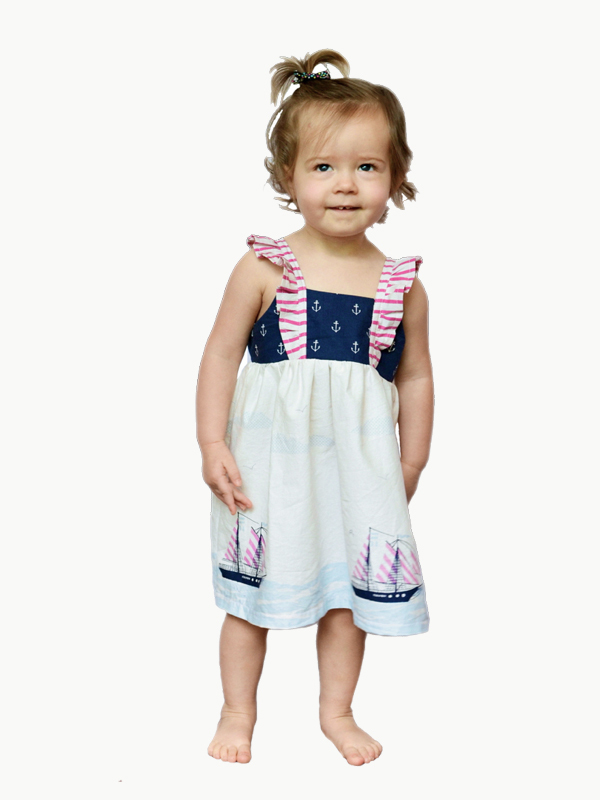 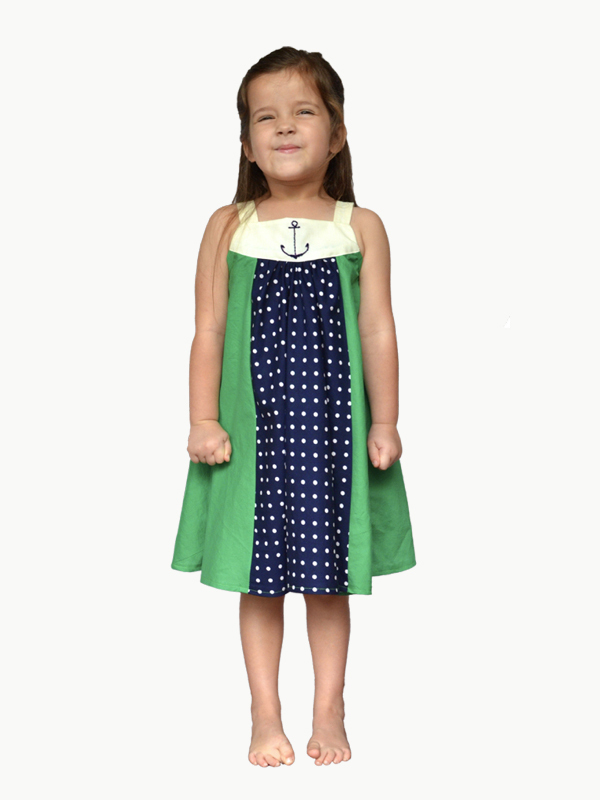 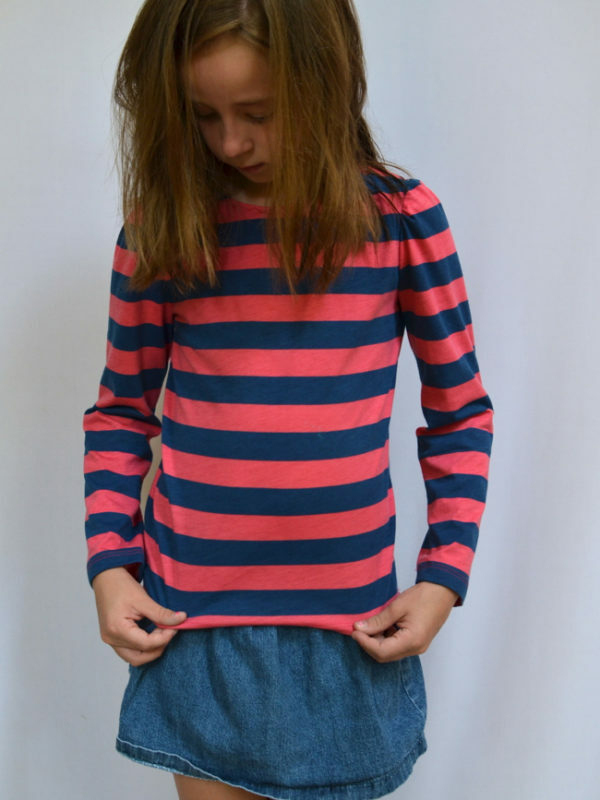 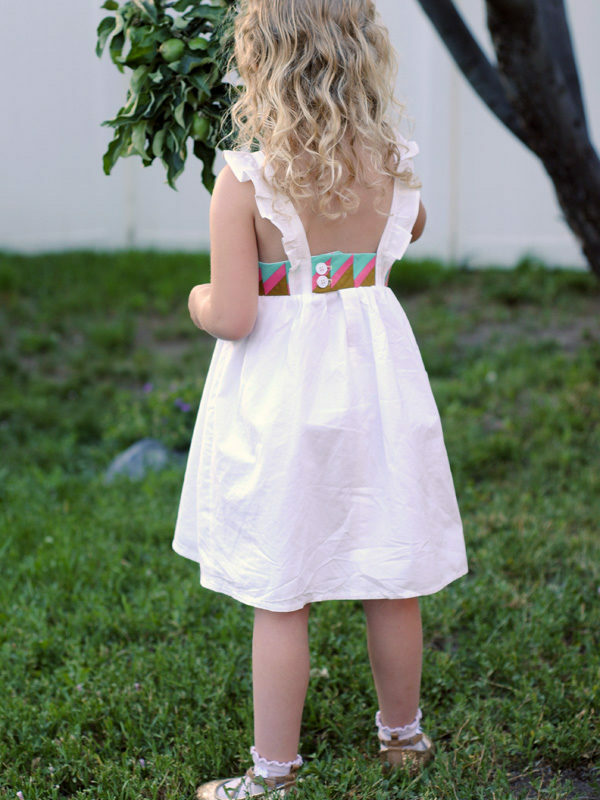 There are 4 different styles included in this pattern: the dress, the tunic, the ruffle dress, and a raglan-style shirt for boys! 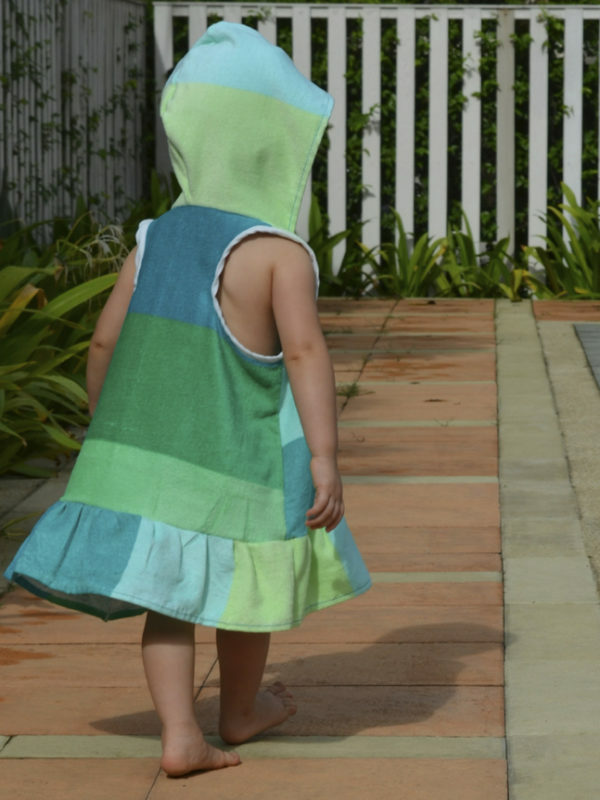 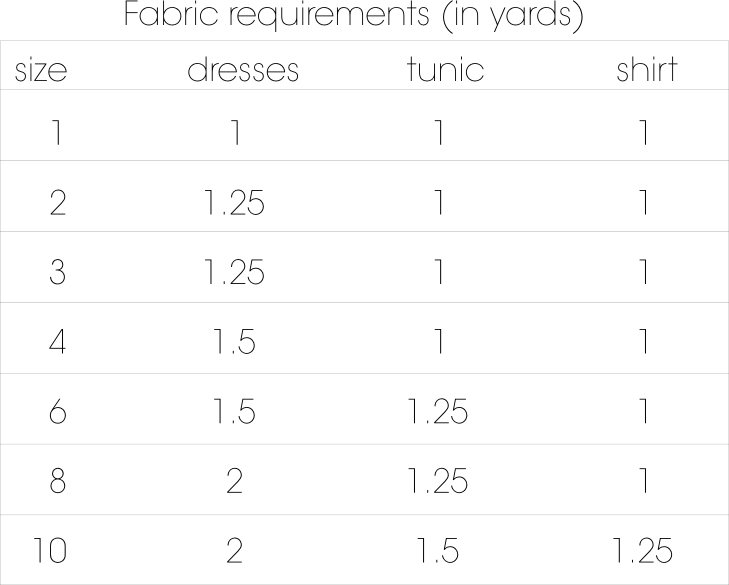 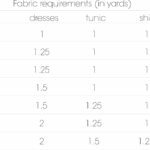 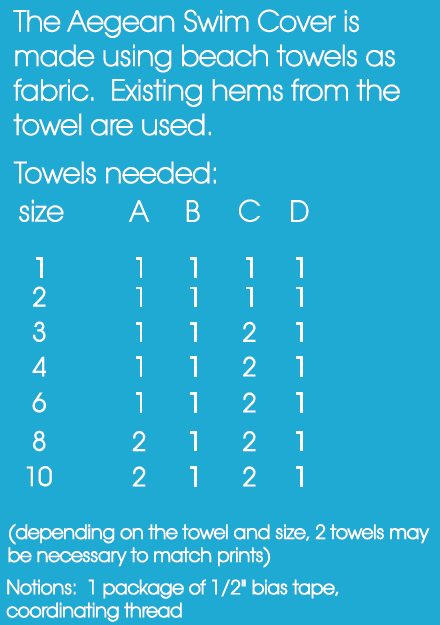 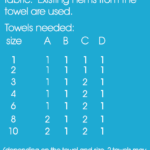 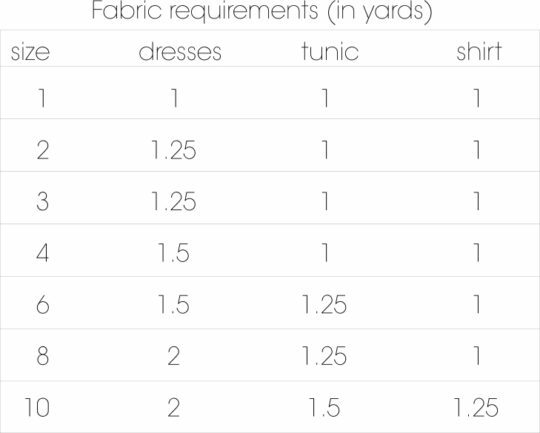 The pattern is designed to make use of the existing hems on a towel to save you work and produce a nicely finished garment.